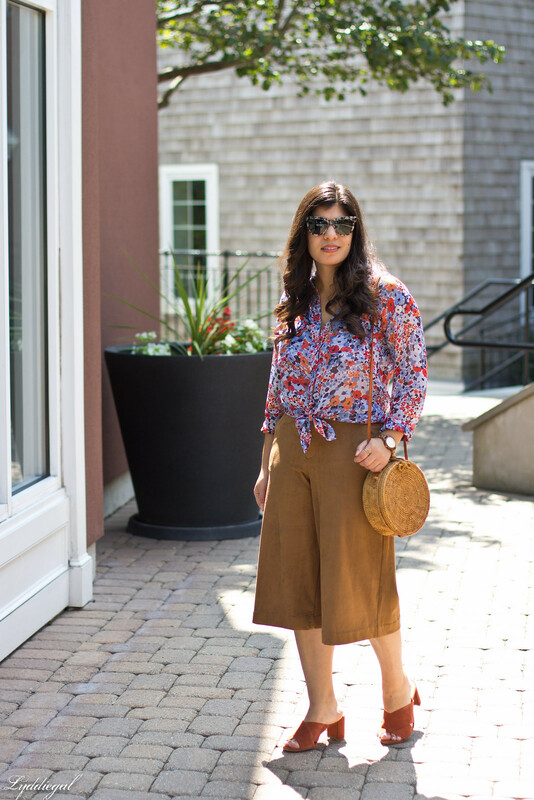 Mornings and evenings have been downright chilly, and there is nothing like waking up to 58° to make me want to pull out the suede culottes, which in combination with a punchy floral, rust mules, and a straw bag toe the line between summer and fall. It's so true---those cool mornings start making me realize I need some different clothes!! Maybe if I just slept in and only went out in the afternoons?? Then I could keep wearing my summer things....ha ha!! I wore a very similar, albeit less colourful, outfit yesterday - and was utterly dismayed to find I wasn't actually warm enough in it. The sun is still out but temperatures are definitely shifting and it's time to start wearing those transitional clothes, it seems. I love you how managed to combine fall shades into such a summery outfit here, it really is the best of both seasonal worlds. I love those culottes! 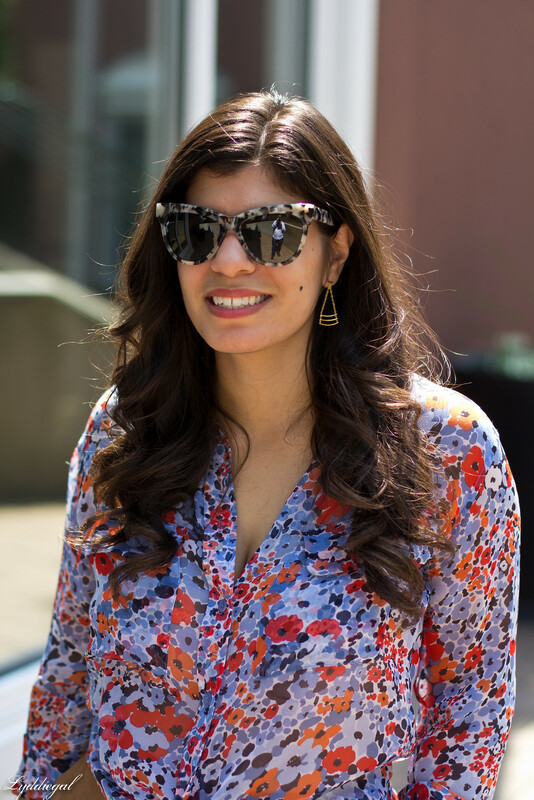 And they definitely seem like a great transitional piece (side note, I can't believe it's basically fall!). We've had some cool weather too--this has been such a strange few weeks!! This look perfectly combines the two seasons. I love those culottes! 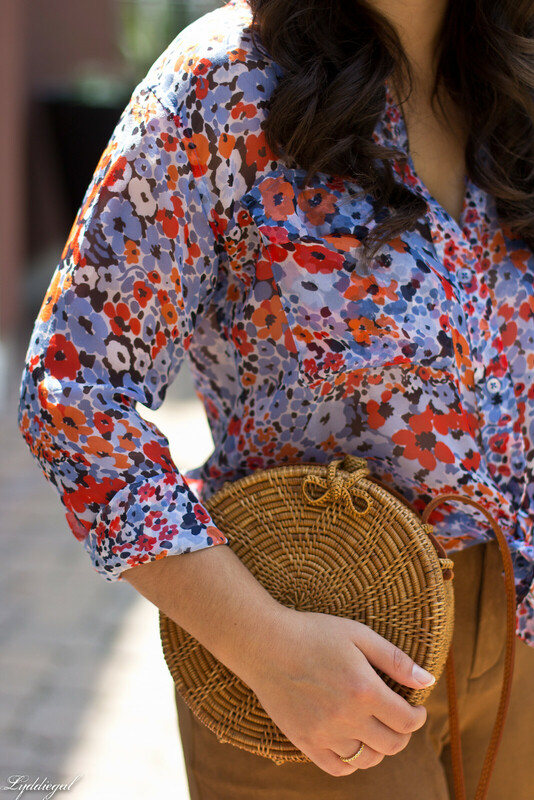 I just love that blouse, such a pretty print! And the mules are the perfect match! This is, hands down, one of my favorite looks from you. 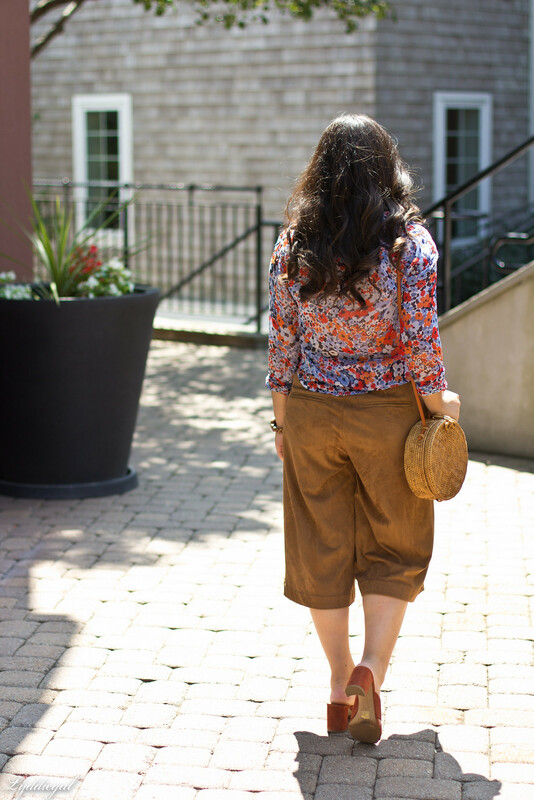 I love the length of the culottes, the color, the straw bag -- everything! Such a beautiful look! Love those culottes! These pants are amazing! I love this combo! This outfit it is so perfect! I adore the color scheme! 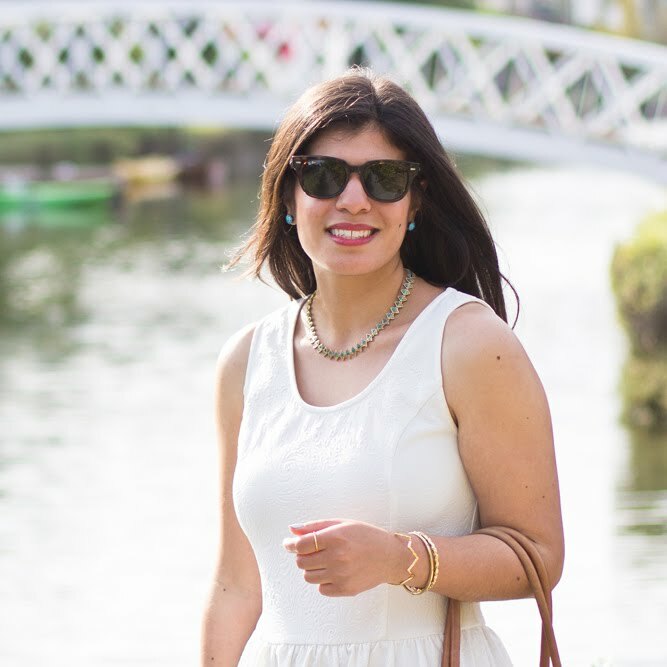 This is a perfect transitional look! 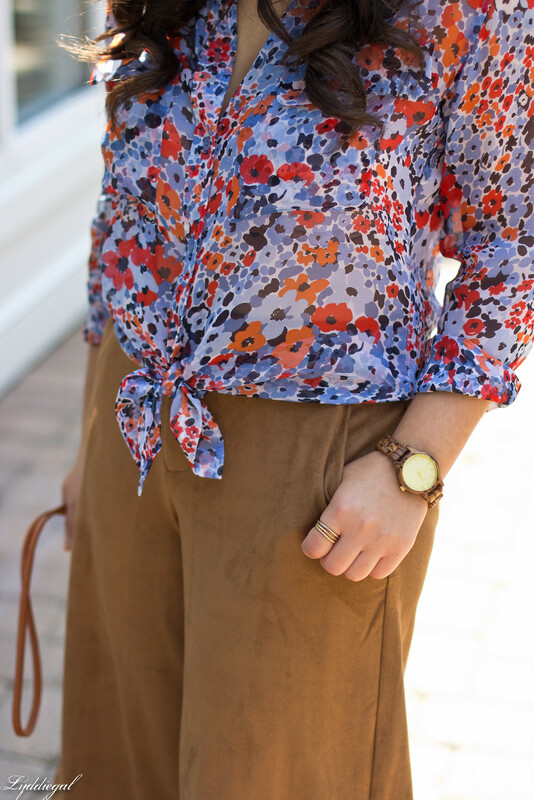 I love the bright florals paired with darker, fall colors! That round bag is so cute! What a cute bag! This look is amazing on you! I love the crisp, chilly mornings! Can't wait for fall! Your outfit is amazing! Those culottes hit just the right place on your leg... they look marvellous ! Maybe you can try them with boots for when fall is formally the season ? We've had some cool temps here in Maryland too. Your outfit is perfect for the pre-fall weather. Love those pants! i'm obsessed with culottes right now and love that these are suede! I love the look darling! I am obsessed with the bag! Lyddie this is such a cute outfit for fall! I love the darker floral print and those pants look fabulous on you! I always adore your easy and practical styling. 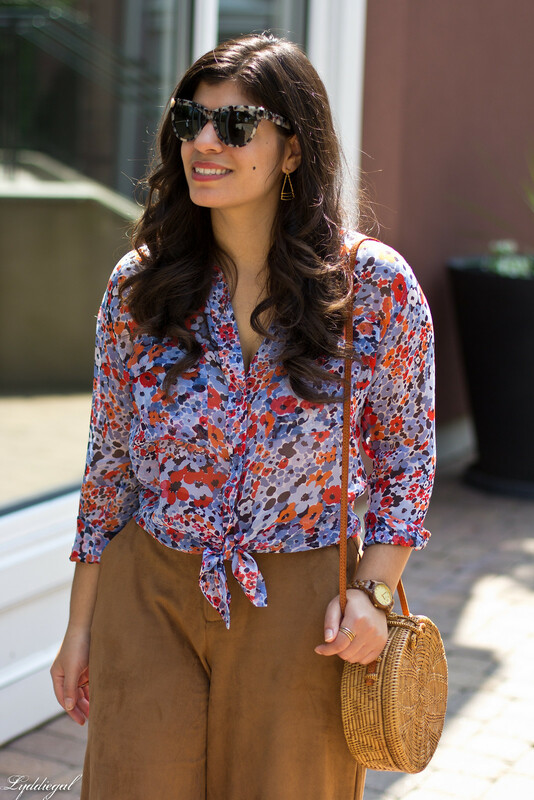 Love this culottes and top combo!